At least wush your hands. Photo courtesy of Ro Pirog. Take your dirty pictures home with you. … because someone isn’t playing with a full deck. 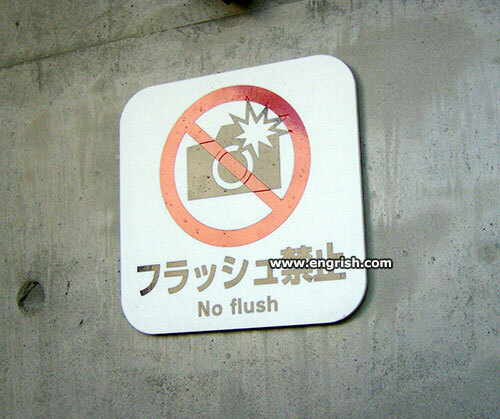 Please use the cesspool function on your camera. That could leave a film. Don’t worry-it is extraordinarily unlikely to get a royal flush in a poker game anyway. @Long Tom 0832. Oh! I thought that Liz (QE ii) Had them every day. There will ba full house soon, then. @Marum | 9:51 am: Poker? I doubt that even Phil does that any more. Of course, for an expensive camera like that ! I have always said that these modern electronic cameras do every thing but “wipe your bum”. Now they may have added that option too. They couldn’t fit just one more button on the camera? Probably a good thing; I’ve never seen one of those long lenses with an s-bend in it. I bought recently an EOS 200D. I think it wold have to be bigger to have room for any more buttons. It is not the Camera which costs, but all the lenses one needs to get the best out of it. BTW Canon. Not Cannon. I only wished to “shoot” my fellow humans. Not to indulge in long distance fragmentation of them. JOIN THE ARMY. Meet lots of interesting people. Then kill them. Anyone know where I can recycle my old flush bulbs?